Kilian Jornet has crowned a new peak in his list of dreams. It was the Aconcagua, where he has set a new ascent and descent speed record. 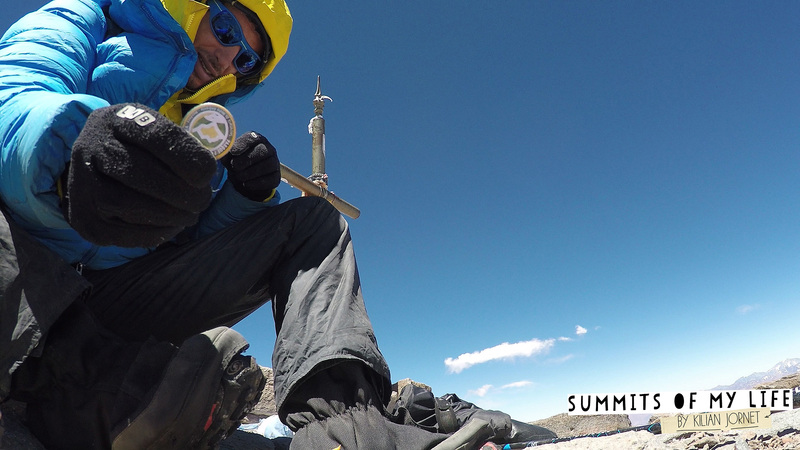 With a time of 12h49′, the athlete has completed the penultimate challenge in the project Summits of My Life. Jornet completed the challenge yesterday after a failed attempt last Friday, when he was forced to turn back at a height of about 6,500 meters due to bad weather, with gusts of wind of more than 90km / h.
Following the philosophy underlying the other challenges he has attempted in his project, Jornet decided to start the ascent from the last inhabited place, the cabin of the park guards in Horcones (2,900m). He set off at 6 am after having three pieces of toast with dulce de leche, a typical Argentinian sweet, for breakfast. As he explained, he still had to face the descent: ‘I suffered from altitude sickness all the way to Plaza de Mulas. I kept losing my balance, my muscles seemed unwilling to follow my head and made me fall. At Plaza de Mulas I stopped for twenty minutes. I had something to eat, hydrated well and I gradually began to feel a bit better. Ahead was the descent to Horcones, where I was able to run well and ended up making good time.’ Kilian reached Plaza de Mulas after 10h10′. When he finally got back to Horcones the stopwatch marked 12h49′. Thus, Kilian Jornet has surpassed all records established to date and has become the fastest man to complete the journey. 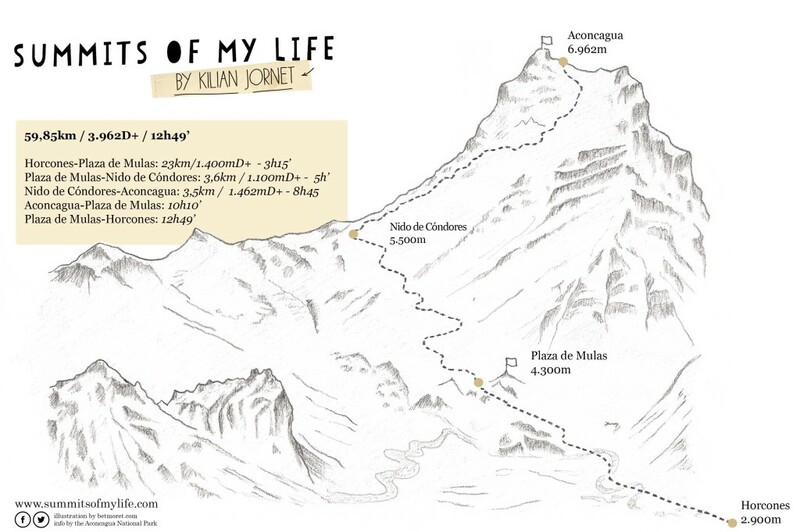 With this new challenge Kilian Jornet completes the third year of his project Summits of My Life, after also setting a new record on McKinley (Alaska) in 2014. How is it possible…no snow at 6000-7000m ??? ?